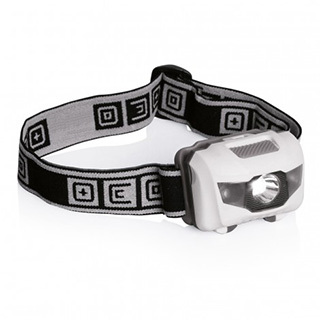 Print this practical head lamp with your promotional logo to create a great gift for the outdoor enthusiast. Whether walking at night or reading in bed, this torch will light the way with its quality elasticated head strap and ultra bright LED lamp. Ideal for your next corporate event. Featuring low impact red night light to avoid dazzling the eyes.